Hi, I'm Dean Paarman. I've helped dozens of clients create their very own experience videos whilst on a tour with me. I will teach you how to create your own videos, or if you prefer, I can film your experience for you. Capturing your experience whilst on holiday be a video or pictures can be really challenging. We will help you capture those memories and tell your story. 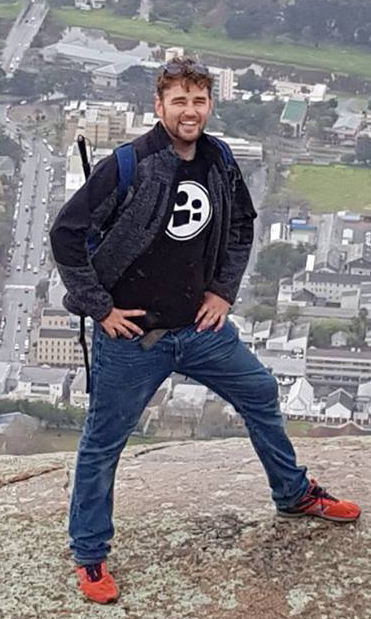 Enjoy a unique experience with local Cape Town Video Creator and Tour Guide Dean Paarman. Choose between a day of adventure or leisure (or maybe a bit of both). You tell us what you want to see and do and we will customise your day. Choose from a list of Adventure Activities like surfing, sand boarding and snorkeling with Cape Fur Seals and mix and match it with the amazing variety of cuisine, wine, gin and beer available in and around Cape Town. You can also leave it entirely up to us and let yourself be surprised by a Carte-Blanche itinerary. We can arrange everything or just come along as guides or as your video crew for the day. Moments you will never forget. Dean will guide you on how to capture your own experience video of the tour. Learn lots of great tips on filming and editing an incredible Travel Experience Video. Or you can have Dean & his team capture your Trip for you. Pick from the list of activities below and we will send you an itinerary suggestion. Some activities last an entire day, others only an hour or two. You just tell us what you want to do, we will sort out the rest. All items listed are subject to availability, so the earlier you book the better. We shoot and edit your video for you. These costs do not include access to any venues or meals and refreshments.